This can change the way you watch movies because the focus is instantly on watch a good movie due to the comfort and reclining feel of your chair. If you ever noticed when someone sits in an uncomfortable chair, they’re not paying much attention to the movie or event because of the discomfort and causes them to redirect their attention to adjusting the seat for better fit while ending up missing most of the good parts of the movie. I hate it when I sit in a chair and immediately look to adjust or find another seat to get comfortable. Don’t do this, instead try to find the right chair that fits you need for comfort, style, and proper fit. This can happen in reverse too. For instance, finding the too many options can greatly put you in a position where it’s so many possibles you try to get each one to fit with what you original plan of options you had to fit the style you look for. If you look for a few options to get you creative juices flowing I have some things to wrap you head around. as you see these are just a few things to consider for you type of layout for home theater experience. It’s more than just style and comfort for theater seating you would need to find a good viable budget to prevent yourself from over spending and getting something you might end up returning. Get the right type size you need for the room you create so that these new chairs not only fit into the set they can also bring out the best part of you home entertainment center. I think it’s good to get some information on the type of brand names and do more research on the particular brand to find how much quality and how durable is it to use for long or short term use. What Type of Seats Are You Looking For? Here is the part where people get confused on what exactly you look for. A lot of times we get caught up in what is the next person is using or have bought in the past, and alters you thought process for buying the chair you need and buy something equal or better to the other persons choice. Don’t do this, stick to you original choices and make adjustments according to you taste, style and use for entertainment. It’s you decision to choose the right chair for you, make sure to write a list of options to research. I would try to go and o more price comparisons to see if the chair, love seat or sectional has the features you look for. The typical features I have always thought of before shopping was the style and comfort which is my top two things to look for. Next I check the price to see if the values matches the cost, then finally the last thing I like to check for is the durability. It’s good to go to places to see if the particular item you look for has what you need in to fit you theater space. Most people love the feel of leather, others have a passion for suede, I would like to have a little touch of both with some extra features added like custom cup holders and illuminated seating or retractable arm rest. These are a few things to check for when you into the buying mindset. This may seem redundant but it’s necessary. These are some the best lines of furniture you can get a good understanding finding out more about. I selected these based on type popular design and style and the overall interest people liked most about this top of the line home theater seating. Why is It Important to Have Home Theater Seating? Did You know that more than most back injuries occur when sitting on bad chairs or laying on a worn bed? it makes sense does it? Sitting on something for long periods of time can do some damage to you rear end and give you all type of discomfort for sure. Nobody has the time to get into the right position in the chair, while catching up with sitcoms and shows. You definitely don’t want to get a super comfy chair that will put to sleep instantly. But you have the choice to use more plush in the seating or less. I would go as far as to check out furniture outlets to get a firsthand experience to really zero in on what you would like you room space to have. Is It Time To Upgrade to Theater Seats? Do you feel truly comfortable in this chair? Is this chair too worn to sit in? Does this chair fit you room style? or cramp it? Asking these type of questions will help in determine what needs to change and what is good to keep and improve. I think it’s more to the research to find this out by checking out new furniture and get a good idea on what is needed to complete you room space. Improving the seating is so vital to you home entertainment, it Sevres as a part of a great setup to a home theater you could truly love. One the best things to have in case of a bad day at work, to dealing with bills, it’s a way to develop a family bonding experience when holidays and reunions come into play. There is nothing like coming home to relax and shut out the rest of the world by playing a show or sitcom with relaxing, comfortable seating. Please understand I based this information on the wants vs needs options. I made a list things I love to have and a list for comfort and needs. Next thing was the type of brand quality the furniture is made with due to my choice of long term use. Then I minimized the list to two options to choose by comparing the pros and cons for each one, this way I can get a good idea as to what type of chair I really want. Consider these options for buying, remember this will determine you final choice for a great home theater setting. This will not only be for you but for you guest friends and relatives as well. There will be some work involved to make sure the set of furniture complements you theater theme or theater space in the making. 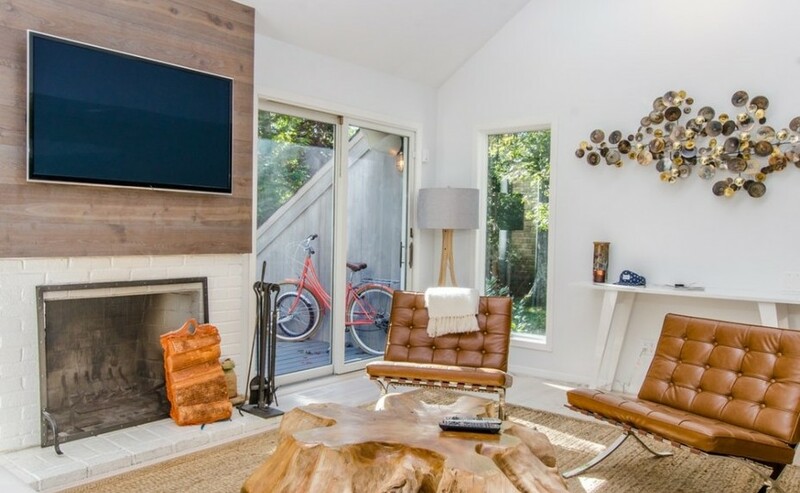 Also, take into mind that you will have a space to watch and space to walk around in so good measurements can really give a sense of knowing what to expect during you time of purchase. My personal choice is the seat craft brand, I like this set of furniture for the extra features and plush leather, also the style fits my type of home entertainment. Let’s take a closer look at this model to find out more. Manufacturer History: Establish in 1978 and started as a California based company started with building seats for automotive companies. As time when on they moved up to motor homes and transition over to home theaters. For 35 years Statecraft develop into a power house in the market of theater seating. Con’s: It can cost you on this selection, If the power fails you cannot move the seats manually, can not adjust to height but can moved to accommodate space. Color selections is limited black is a great color but would love to see a unique type of color scheme. As you can see, Statecraft has the best line of features to make you feel like a king. 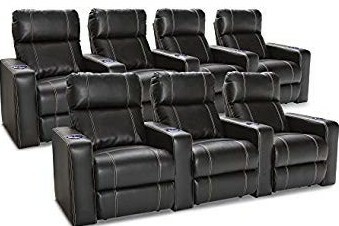 I would HIGHLY recommend this types of furniture for home theater use, the only complaint you will have is trouble with getting out of the seats due to the comfortability. If this your first time checking out furniture, remember to stick to your needs and figure out what is in your best interest for better quality and fine home theater entertainment. If you have any ideas to share with us or any questions about home theater seating drop a comment below.